Two (2) Acres For Sale:3443 Peach Orchard Rd 99 frontage; 308 depth approx 0.70 acre3441 Peach Orchard Rd 99 frontage; 305 depth approx 0.69 acre3439 Peach Orchard Rd 100 frontage; 300 depth - approx 0.69 acre with improvements of approx 1,581 sf. 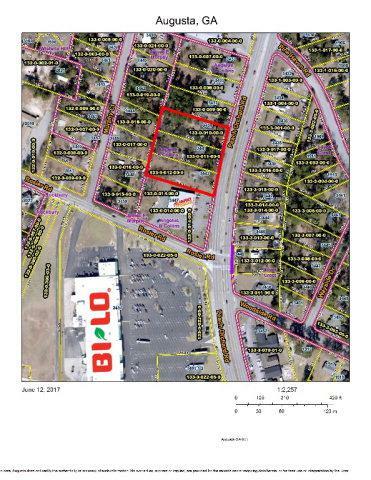 Property Zoned B 1 per Richmond County Planning & Zoning. Utilities available.